Cancellations must be made 7 days in advance by email or FULL cost of reservation will be charged into your credit card. All room rates are in Chinese Yuan CNY. Balance payment by cash only upon check-in. A security deposit of CNY100 per person is required upon check-in. Christmas party on 24th, December! 7pm! invite all friends come and enjoy！We will prepare delicious food and cocktail for all of friends! music concert, dancing time, and intresting games for celebrate ! Hi friends! 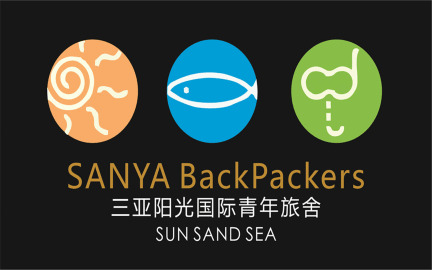 If you travel to Sanya, come to our place! Cause we are the best international youthhostel in Sanya ! we run 5 years and meet lots friends of travelers! We are collected by lonely planet, got honor from tripadvisor many years, and most important things is---- we are your sweet cozy home in Sanya! If you like surfing, both on the sea or on the road or in the U tool by sliding board, come to enjoy us! If you like swimming, music, travel culture, come to join us! Our location is the best in Sanya, when you come you will see. 200 meters to the Dadonghai beach, which is the most convenient to practice your muscle in the wave sea water. 100 metres to all the bus station, which will take you to everywhere, the Yalong Bay, the forest park, the monkey island, the hotspring, and the supermarket! Which import for your life stuffs. 2 western style breakfast and real coffee bean coffee after 9 o’clocok. I had a very good time at the hostel. People who work there are nice, flexible and the atmosphere is great, I strongly recommend it if you look for a nice place to rest and relax! 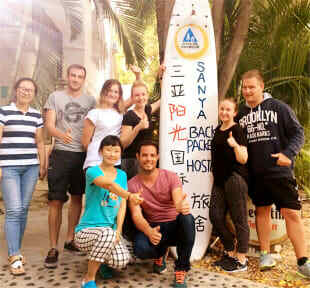 I loved my time at Sanya Backpackers Hostel! It's the place to go if you're looking to be social & save money. Don't expect fancypants ameneties like you'd get a a hotel- this is a HOSTEL, people, so it's going to be basic (i.e. showerhead above the toilet in your small bathroom). The building is old and has character, but it's not dirty. It's a real, local, fun experience and the wonderful staff is at the heart of it. They are full of love & care, and speak English. The outdoor bar area rocks! The environment is super peaceful and cosy, you can both socialize and relax here. I was very satisfied with the cleanness and the security of the hostel. The sheets and towels were well kept and the rooms were cleaned every day. Although it seems that people can just come and go there are security cameras all over the place plus the residential area have guards 0-24. Nanmu has a great taste in music and was always keen to suggest us nice hidden places to visit, including a secret beach!!! Great place to stay, very nice atmosphere. A good place to chill and relax. Very close to the beach, so you can just leave your stuff and head for a swim. Great atmosphere, there are many friendly solo travelers. The staff is not very helpful though, but it's not that necessary in Sanya. The most unpleasant part of the stay was the en-suite as it was not as clean as hoped to the point where we tried to avoid using it where possible. Staff were friendly with very good English but it was hard to find anyone to check us in. They were so laid back that we felt guilty asking for anything at the bar or requesting breakfast as advertised. The location is absolutely perfect and it was very cheap. I guess you get what you pay for.